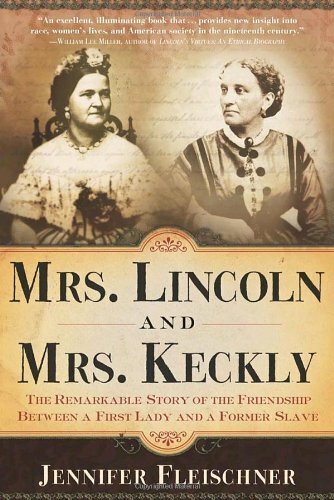 A vibrant social history of the relationship between First Lady Mary Todd Lincoln and her black seamstress and confidante, Elizabeth Keckly, that recreates the lives of these two exceptional women and their remarkable friendship, set against the backdrop of 19th century America and Washington society. As Mr. and Mrs. Robert Smith Todd looked forward to the birth of their fourth child in 1818, they were likely hoping for a boy. Two little girls--five-year-old Elizabeth and nearly three-year-old Frances--and one boy, one-and-a-half-year-old Levi, were already running around the yard on Short Street at the center of town and up the hill to their widowed Grandma Parker's house next door. By December, as her time neared, the children's twenty-four-year-old mother, Eliza Parker Todd, had retreated to her bedroom on the second floor of the nine-room house, leaving them to be watched by their slave mammy. The Widow Parker, who had given the young Todds the lower part of her double lot as a wedding gift, probably helped supervise the household slaves, among them three of her own whom she had loaned to her daughter: a young girl, a woman in her twenties, and an older woman. The sweet-natured Eliza admitted when she first married at eighteen that she had no idea housekeeping "was attended with so much trouble." Indeed, six months into her marriage, while the young couple were still living with the Widow Parker waiting for their house to be built, she had written, perhaps teasingly, to her maternal grandfather, "It really is almost enough to deter girls from getting married." In any event, she concluded, "it would never do for me to go far from Mama as I shall stand so much in need of her instruction."